In everyday life, you might encounter a logline most frequently in a TV guide or on your DVR. It seems simple, but the art of writing a compelling logline can elude even the most established writer. What’s the Difference Between a Logline and a Tagline? At some point, you’ve probably heard a pitch similar to “It’s like Die Hard meets Bridesmaids!” There are times when film or television executives want to hear what other films your project resembles. But, be aware, these analogies are not loglines. Keep in mind: a tagline is also not a logline. So, for instance, the classic “In space, no one can hear you scream,” from Alien, or even “One man’s struggle to take it easy,” from Ferris Bueller’s Day Off are not loglines. 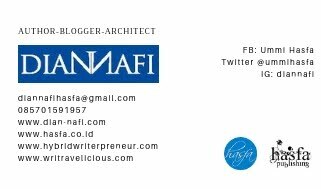 Can analogies and taglines be useful? Sure! But, when you submit your work for notes or in a query letter, executives need something more informative about the plot. However, loglines should not spoil the entire plot of a show, film, or book. A little bit of context: Ashley is the mother of one of the show’s leads. The hit and run incident ends up being a major plotline in the following episodes. It was meant to be a shock, but the shock was lost when the viewer read that logline. They should have left the detail out or worded it differently (i.e. “An encounter with the law leaves Ashley worried.”). This minor adjustment would allow the scene to have its impact and still get the message across. Our friend Jennifer has the hardest time pitching a story. Whenever we ask about her latest script, she will talk for hours, explaining how — for instance — a mailman delivers a letter, which tells the secondary character that she didn’t get in to college, while the lead character is busy stuck in a jail cell in Tijuana. Now, clearly, the lead’s storyline is more life-or-death, but Jennifer gets sidetracked with the details of the secondary characters, because she’s so rooted in the intricacies of the story. The minor details don’t matter; keep the focus on the main plot to write a strong logline. With a logline, you really need to think about your verb. Steer clear of the infinitive “to be.” Look at the Lion King example above: tricked—flees—abandons. All verbs that get you thinking more about the how and the why within the main plot. While loglines are primarily used in the film and television industries, creating one is a useful exercise for novelists or short story writers. Not only will preparing loglines strengthen your writing skills, but it can also help you discover the essence of your story, if you’re struggling to find it. 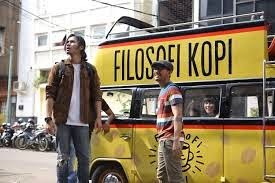 Kalau logline filosofi kopi apa hayo?